NFL free agency is just around the corner, and along with it the first opportunity for teams to dramatically upgrade their rosters for the next season. Every season there are a number of players brought in from other teams who have an immediate and significant impact, and they are not always the ones with the biggest contracts. The most obvious name on this list, Cousins is going to define a new franchise for the next several years, for better or worse. His free agent contract is likely to re-set the quarterback market and make him the new highest-paid player in football, and whether he is able to live up to that contract or not is going to define the fortunes of his new team. 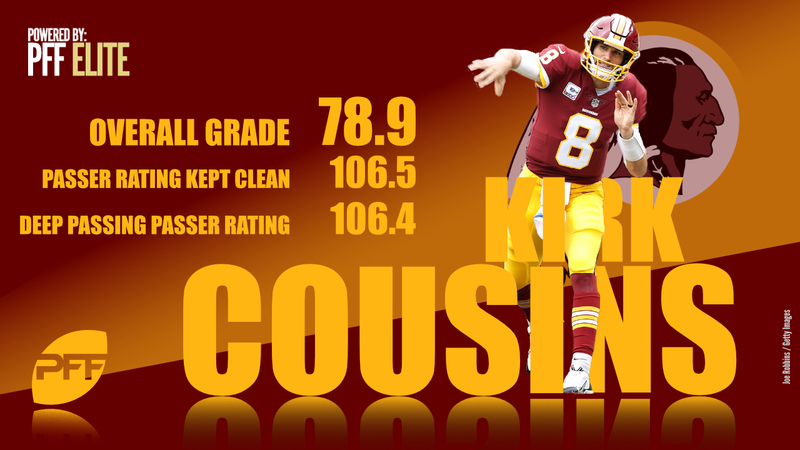 Cousins does have the ability to immediately catapult the right roster into contender status by upgrading on some disastrous quarterback situations as they currently exist, but we have never seen him become an elite player, and he will certainly be paid like one. His average overall grade over the past three seasons is 82.2, a mark that would have ranked 15th this season.